When will be Machines: How They Work next episode air date? Is Machines: How They Work renewed or cancelled? Where to countdown Machines: How They Work air dates? Is Machines: How They Work worth watching? Have you ever wondered what's going on inside the machines you use every day? How does an escalator haul hundreds of people up a slope as steep as Mount Fuji? How can a simple shopping cart carry a load six times its own weight? How does a car wash scrub dirty vehicles clean without leaving a scratch? Using CGI animation, Machines: How They Work dives deep inside ordinary machines to reveal their extraordinary inner workings.Each episode of Machines: How They Work explores the secret workings of three different machines of all shapes and sizes; from parking meters and coffee machines to 3D printers and padlocks. Immersive footage shot inside the factories where these objects are built and tested, reveals their ingenious mechanics alongside the larger than life characters who design and construct them. 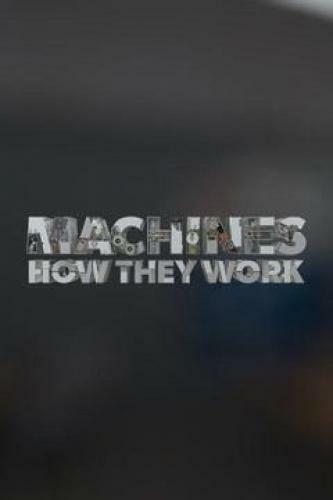 Machines: How They Work next episode air date provides TVMaze for you. EpisoDate.com is your TV show guide to Countdown Machines: How They Work Episode Air Dates and to stay in touch with Machines: How They Work next episode Air Date and your others favorite TV Shows. Add the shows you like to a "Watchlist" and let the site take it from there.